This simple Pesto Pasta Salad is bursting with the bright green colors and flavors of Spring. 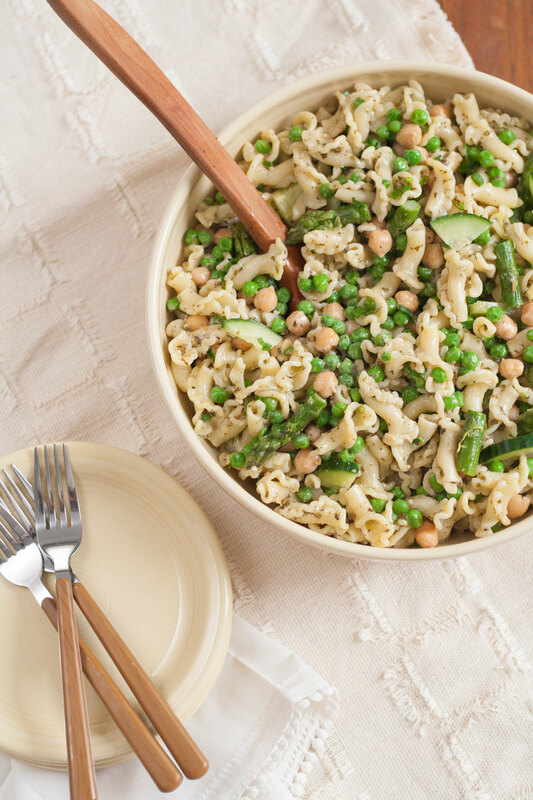 Time to trade in those Winter blues for some Springtime greens with this lovely Spring Pesto Pasta Salad. 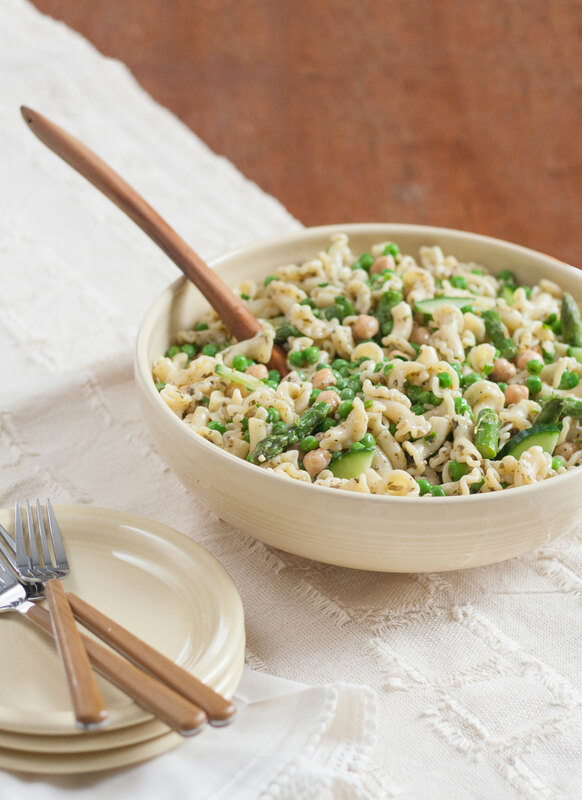 Campanelle pasta’s flower-like shape sets the tone for this herbaceous pasta salad studded with garden peas, asparagus, and cucumbers. Chickpeas add a hearty element and are a great source of plant-based protein. This recipe makes enough for a crowd, so plan on serving yours up in a spacious dish like our XL Bistro Bowl, seen here in creamy Ivory. 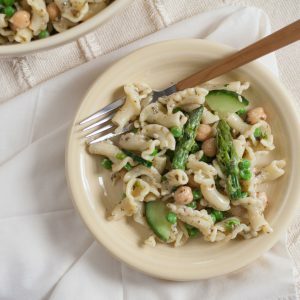 Herbaceous pesto, asparagus, peas, and cucumber come together in this springtime pasta salad. Stir together the pesto, mayonnaise and salt. In a large bowl, combine hot pasta and the pesto and mayonnaise mix. 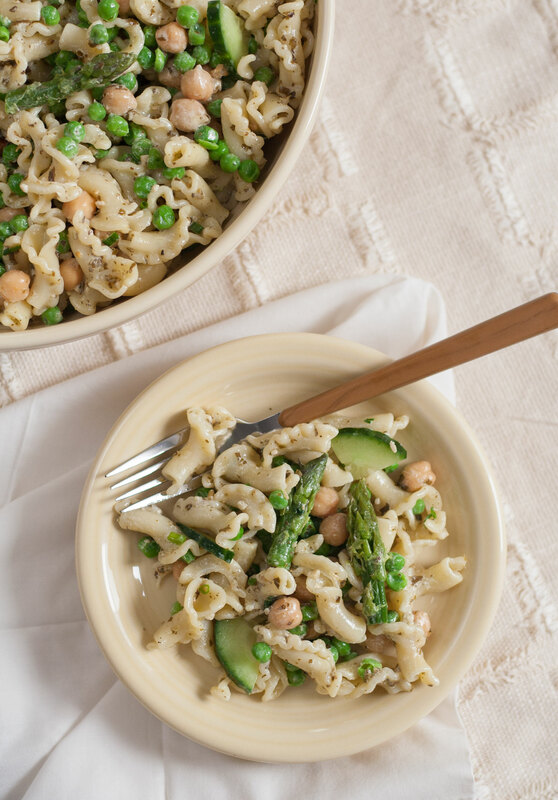 Mix in prepared peas, asparagus, cucumbers, and chickpeas. Sprinkle with freshly chopped chives and serve.